Ring News 24Boxing News Breaking Boxing NewsCan Chris Eubank Jr live up to the hype? 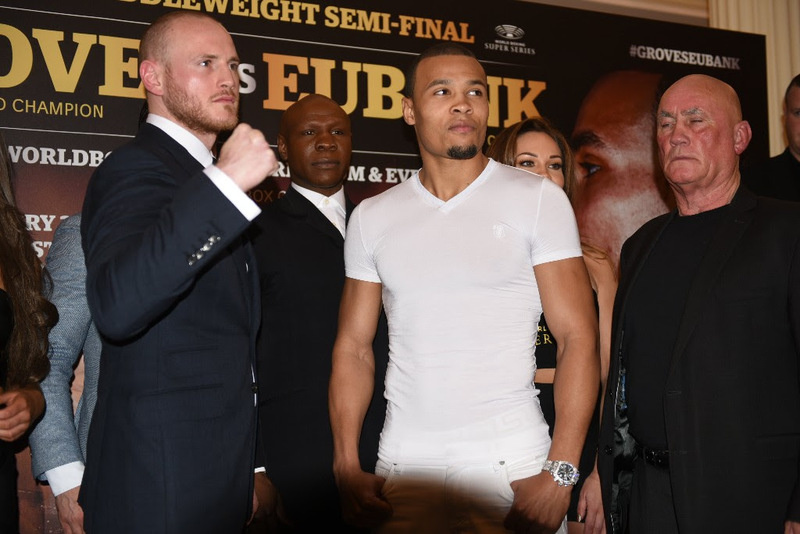 Can Chris Eubank Jr live up to the hype? Names like George Groves and Chris Eubank are no walk in the park at 168lb. Chris Eubank Jr faces the toughest test of his career, when he takes on WBA (Super) Super Middleweight champion George Groves, in the semi-final of the World Boxing Super Series. In an all British clash, reminiscent of his father’s days back in the 90’s, Eubank vs Groves promises to be a great way to kick off the boxing calendar in 2018. But after 27 fights, how does Junior’s progress stack up against his legendary father’s. Well first and foremost, after 27 fights Chris Eubank had already been a part of the biggest fight in British boxing history, and won, with his 9th round stoppage of “The Dark Destroyer” Nigel Benn. Still considered one of the best fights and rivalries to ever have took place between two British boxers, Eubank’s victory plummeted him into super stardom and he instantly became the face of boxing. Junior is still waiting for this break through fight, which could propel him to the heights his father once scaled. As well as this, Senior held a legitimate version of the world title, (the WBO Middleweight title he took off Benn). While Junior claims his IBO bauble is a world title, not many within the sport accept the validity of this organisation, and until he wins one of the major four belts (WBA, WBC, IBF, WBO) he cannot call himself a bona fide world champion. Junior’s close split decision loss to Billy Joe Saunders also separates father and son, as Senior was undefeated in his first 27 bouts. The perceived invincibility of Chris Eubank was a key part of his persona, and formed part of the reason he became a true marmite figure in the sport. Just as many people went to see him get knocked out, as went to see him win. But the most important thing to him was that people were buying tickets. One thing that Junior has had to deal with that has potentially slowed his progress, is the immense weight of expectation placed on him simply by carrying the “Eubank” name. Being the son of one of the greatest British boxers of all time, has certainly added massive amounts of pressure to Junior, something Senior didn’t have to deal with in the early stages of his career. It is evident stepping out of his father’s shadow is something he has struggled with, and the comparisons will always be there, especially as they fight at the same weight and have very similar styles. It is fair to say Chris Eubank Jr has not come close to matching Chris Eubank’s exploits in the first 27 fights of his career. However, at the age of 28 he should be coming into his prime years, and he has the perfect opportunity to live up to all the hype in his next fight. Can he finally step out of his father’s shadow against Groves, or is the weight of expectation finally going to prove too much? Will the teacher Jeff Horn teach Gary Corcoran a boxing lesson?